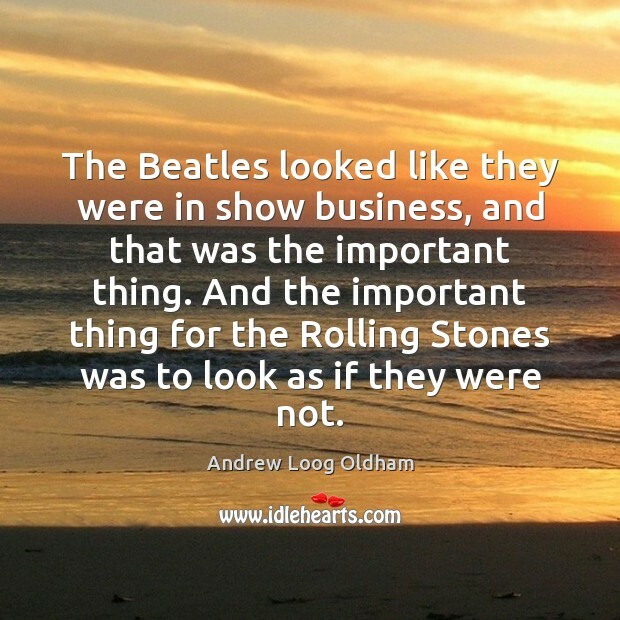 Enjoy the best inspirational, motivational, positive, funny and famous quotes by Andrew Loog Oldham. Use words and picture quotations to push forward and inspire you keep going in life! The Beatles looked like they were in show business, and that was the important thing. And the important thing for the Rolling Stones was to look as if they were not. 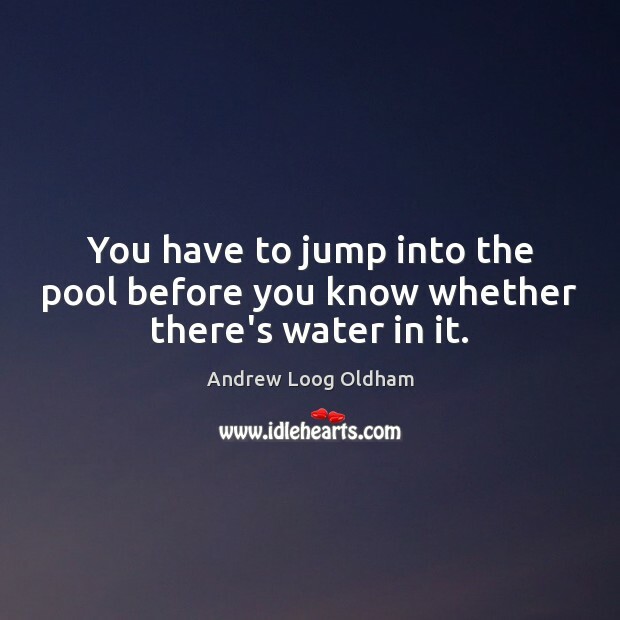 You have to jump into the pool before you know whether there's water in it. I do have issues with the fact that music is so accessible nowadays. 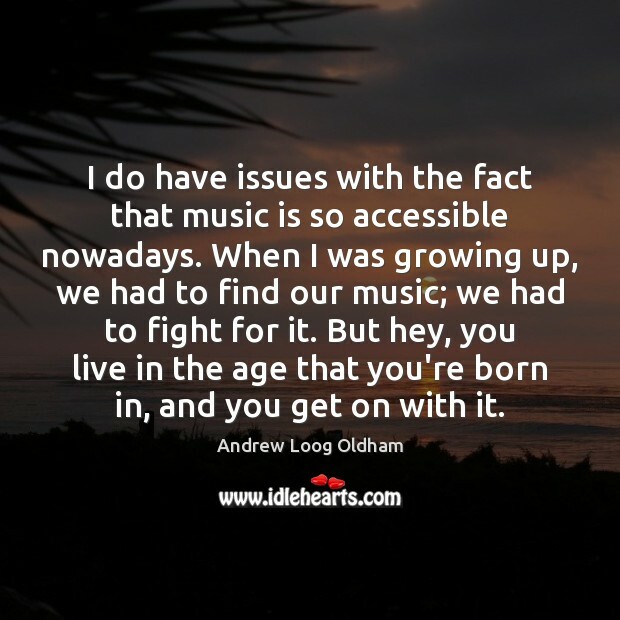 When I was growing up, we had to find our music; we had to fight for it. But hey, you live in the age that you're born in, and you get on with it. Today it feels as if rock'n'roll has sort of turned in on its self, kids are 'rockin' to the same groups their parents do/did. We've seen it recently with The Stone Roses reunion shows, quite unique but is it healthy. 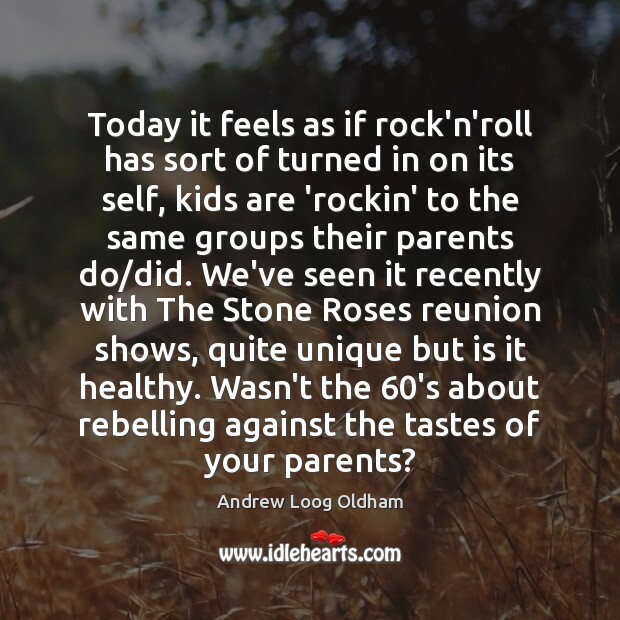 Wasn't the 60's about rebelling against the tastes of your parents? 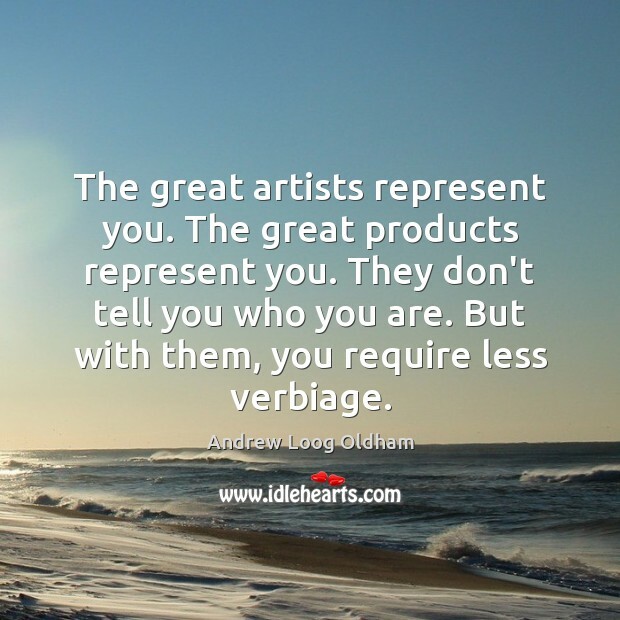 The great artists represent you. The great products represent you. They don't tell you who you are. But with them, you require less verbiage. I get to listen to a lot of this music again doing my DJ work on Little Steven's Underground Garage. To hear Van [Morrison] on Them's version of "It's All Over Now, Baby Blue"- what a vocal, and what an arrangement. 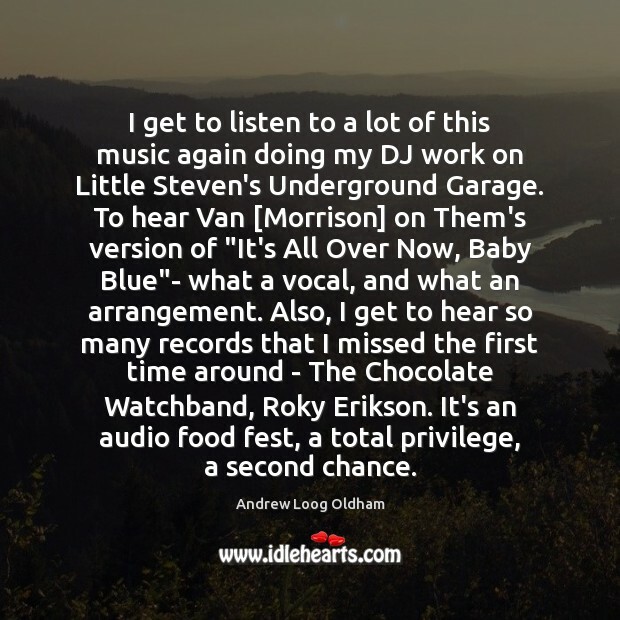 Also, I get to hear so many records that I missed the first time around - The Chocolate Watchband, Roky Erikson. It's an audio food fest, a total privilege, a second chance.